Hat Tip: My Aunt Carla's good friend Ellen from St. Louis. 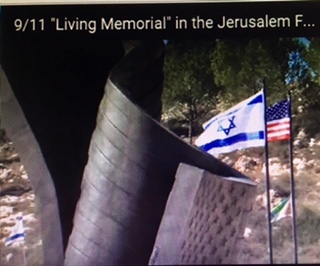 I wonder how many of you know about this Memorial dedicated in the Jerusalem Forest in Israel, which was done in solidarity with America [and in honor of the victims and their families] after the horrific 9-11  terrorist attacks on America. This tribute, from America's good friend Israel, echos the commitment from Jews around the world [that came out of the Holocaust] that this should "never again" be allowed to happen. 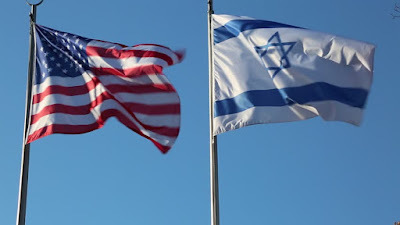 Thank you, "US Embassy Tel Aviv" You Tube site for this moving video. In their caption they state: "U.S. Ambassador James Cunningham and Defense and Air Attache Colonel Richard Burgess took part in the dedication ceremony for a JNF-sponsored September 11 monument and Living Memorial at the entrance to Jerusalem (in the surrounding forest) on Thursday, November 12, 2009"
God Bless America! God Bless Israel!